Spring is a great time to get healthy! 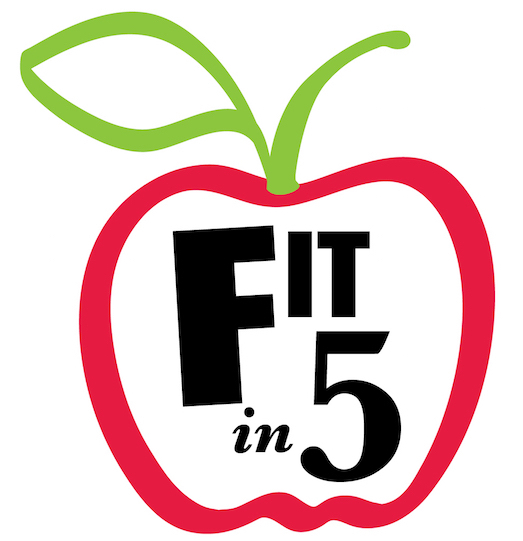 Join us for Fit in 5, Healthy Waltham’s 5-week Wellness Challenge! chance to have some fun and get healthy this spring! Simply click on this link. Donation of $30 per person or $40 per family is requested. Are you a local business interested in becoming a sponsor or donating a prize for our participants? Contact Pam at fitin5@healthy-waltham.org. Healthy Waltham is a 501(c)(3) non profit organization and donations are tax deductible. Donation is requested but not required to participate. Thank you for your support of health and wellness in Waltham! Healthy Foods in the Schools: Kale! Take six school cafeterias, one energetic guest chef, about 2,800 hungry elementary school children, and lots and lots of kale, and mix together. What do you get? Lots of tasting, laughter, and funny quotes like the above. Healthy Waltham’s partnership with the Waltham Public Schools is building enthusiasm for new healthy foods in school cafeterias. Healthy Waltham’s Chef Reva is back for the “Fresh! Chef-to-School” program visiting all elementary schools with new recipes for kids to try. 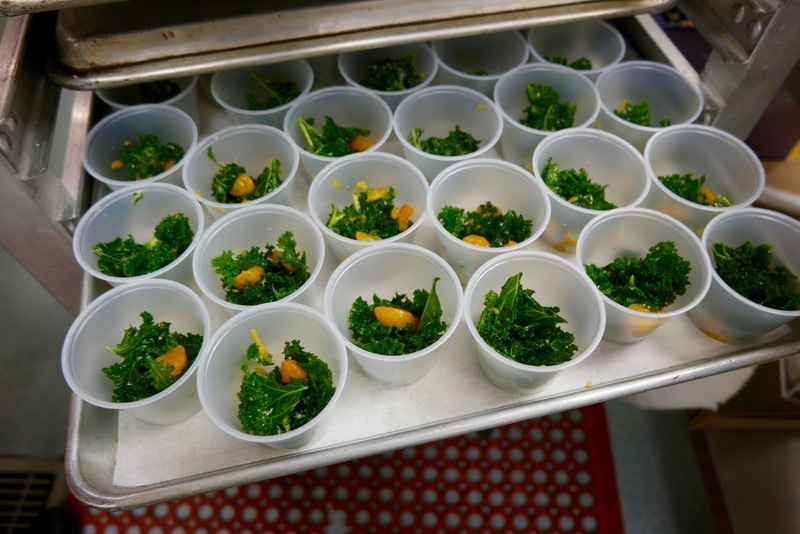 Students around Waltham are enjoying the latest culinary adventure: kale smoothies and kale-citrus salad! Healthy Waltham plans to continue our Healthy Foods in Schools program (which includes the “Fresh! Chef-to-School” visits) in the 2016-2017 school year and expand it to include Waltham’s two middle schools. We would also like to expand our garden-to-table program that shows kids how vegetables and herbs grown in school gardens can be used in tasty dishes. But to do this, we need your support! Please vote for us from now through May 27 in the Belmont Savings Bank Foundation’s Waltham Charitable Giving Program if you are a Waltham resident. You can also support us by a donation or sponsorship! Click here to learn more. Thank you! For more photos, check out our photo gallery and read more in the Waltham News Tribune article published earlier this year. We need your vote! Healthy Waltham was recently selected by the Belmont Savings Bank Foundation to participate in a grant opportunity for up to $10,000. The top five organizations selected by your vote will receive funding. Will you take a moment to show your support for healthy kids with a vote for Healthy Waltham? Please click on the link below to vote NOW UNTIL MAY 27. Note: you do not need to be a bank customer, but you do need to be a Waltham resident. You can vote once per device, so vote from your computer and phone! Please read this letter from Executive Director Pam Hess about the need we are addressing to make the healthy choice the easy choice. While other communities in Massachusetts have been able to slow, or even reduce, childhood obesity rates, Waltham’s rate has been rising, and remains at over 40% of school children overweight or obese. This weight epidemic puts Waltham youth at risk. Obesity is the result of multiple factors that affect our community: limited access to affordable healthy foods, lack of knowledge and motivation to cook and eat healthier, time to exercise, or lack of community and environmental support that make healthy lifestyles more difficult. These are just some of the many issues that Healthy Waltham works to improve. If awarded a grant, we will to use this funding to continue our work with the Waltham Public Schools, including our “Fresh! Chef-to-School Visits” with Chef Reva, and our garden-to-table programming that teaches kids about gardening and eating healthy fruits and vegetables. Working together, we hope to expand our efforts in Waltham to make the healthy choice the easy choice for all. So please l take a moment to give us your vote between now and May 27. And help us even more by spreading the word to your friends. Did you know that adding more fruits and vegetables to your diet is one of the easiest things you can do to improve your health? Click here to vote for Healthy Waltham in the Seeds of Change grant program from March 31-April 18, 2016. If selected, we could receive funding for our garden to table education programming! Funding would support coordination of resources to support community and school gardens in Waltham and our healthy eating programs. Thanks for supporting us! Since 2007, Healthy Waltham has established and supported school and community gardens across Waltham. We work to strengthen understanding of the connection between growing vegetables, eating healthy foods, and health. Learning gardens offer exciting spaces to teach appreciation of the Earth and where our food comes from, as well as outlets for healthy physical activity. Healthy Waltham conducts hands-on programming that teaches community members about preparing healthy dishes, using locally grown produce that is either donated or harvested from learning gardens when possible. Our chef instructor makes eating healthy foods fun by teaching ways to prepare local, seasonal produce and simple ingredients. We find that children are much more likely to eat a vegetable when they have had a hand in growing or preparing it. Our goal is to encourage and motivate children and adults to adopt healthy habits that can improve their health. Healthy Waltham also works with teachers to develop curriculum connections and garden to table learning experiences for children in elementary and middle schools. Check out the photos from our summer school program at McDevitt Middle School here. See more about our Waltham gardens we help to coordinate here.